You can’t even look at advent calendars this year without seeing the word “gin”, so trendy has the juniper tipple become. Its popularity has exploded in recent years, with experts crediting the influence of bartenders, gin’s ubiquity in cocktails, and its short production time and versatility for the boom. The Ten Bells pub and distillery on St Benedicts is certainly keeping up with the times. Pop round to the side room and you’ll see a colour-changing distilling display, as the site is home to Bullards’ London dry gin, which was declared the best of its kind in the UK earlier this year. And if you don’t fancy that, there’s more than 60 other gins and 100 whiskies to choose from. 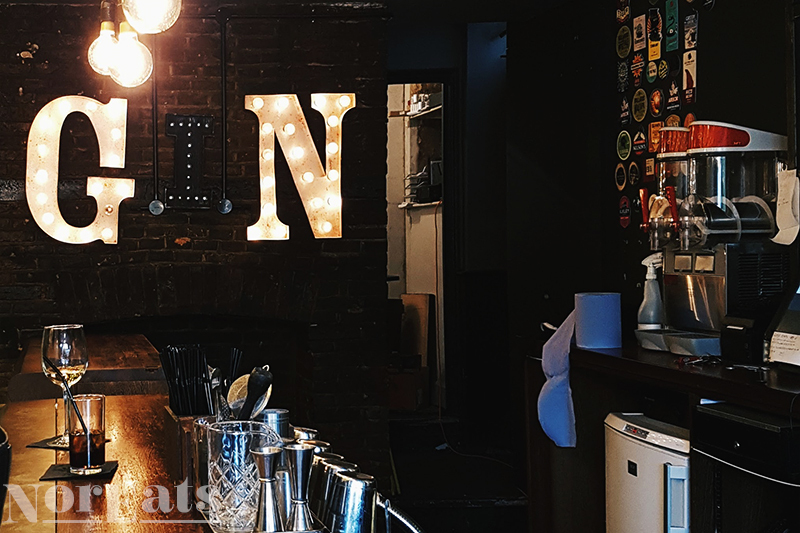 The Ten Bells has been open since the 1700s, but between its goodies behind the bar and its recently spruced-up decor, it’s got what your modern pub-goer wants. As it’s a popular pub in one of the city’s trendiest streets, you can expect a bit of a crowd in the evening. However, there’s big tables for groups, cosy corners, and shadowy booths to settle into, scattered among side rooms that have their own details and personalities.